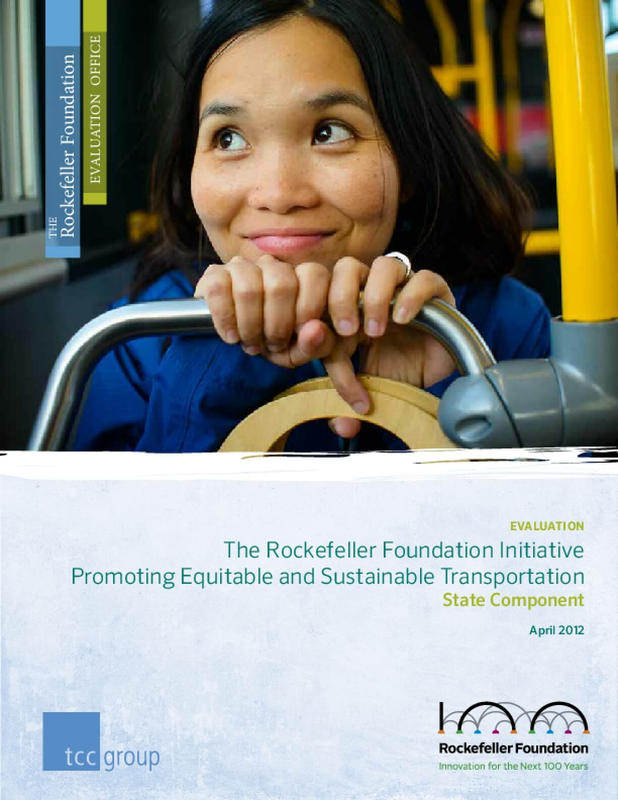 This report presents the findings of an evaluation commissioned by the EvaluationOffice of the Rockefeller Foundation and the Rockefeller Foundation Initiative onEquitable and Sustainable Transportation (TRA). The evaluation, conducted by TCCGroup from October 2011 to April 2012, focused principally on efforts to build statecapacity and attain state and regional policy changes. An evaluation of Foundationefforts focused on federal transportation reform was completed in early 2012. Thisreport touches on the relationship between some of the state strategy work and itsrelationship to federal reform.